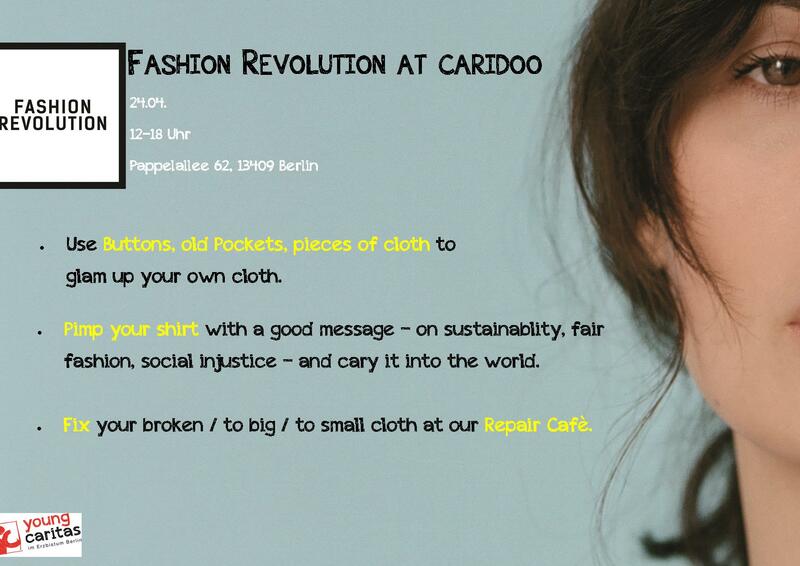 At the project room “caridoo” of youngcaritas Berlin we will give you the oportunity to upcycle your own cloth – weather they are broken oder to small/to big, not cool enough – we will find a way together to give these cloth a second chance. Furthermore we will have a place where you can print messages connected to the Fashion Revolution Day on your own Cloth to spread the word! Of course all colors are ökological. Let’s get together, discuss and cary the message into to world.